Zena is an independent filmmaker who has worked professionally in the entertainment industry for over 15 years as a writer, producer, director, actress, and script supervisor. Zena also teaches advanced classes on writing at numerous writer conferences across the country, and as an adjunct professor at Covenant College in Georgia, and Regent University in North Carolina. 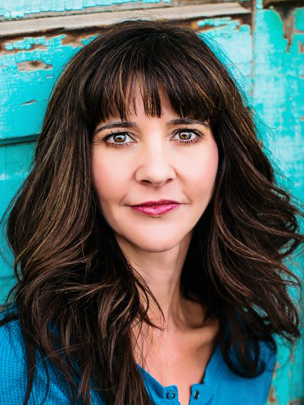 Zena currently resides in Bozeman, Montana, where she creates a variety of content for commercials, television, and film through her production company, Mission Ranch Films. She also writes for comic books and graphic novels, most recently, Strawberry Shortcake, published by IDW Publishing in March, 2017. Zena has won numerous awards for her work, including "Best International Short Film Director" for Rag Doll at the 2015 Louisiana International Film Festival, and two "Grand Prize" wins for her script, "Trial by Fire," at both the 2016 New York Screenplay Competition, and ISA's highly acclaimed 2016 Emerging Screenwriter's Contest. Zena has several other projects in the works, including "Big Sky Crazy," a comedy, mockumentary TV pilot, which recently finished promotional video filming. Zena is currently accepting submissions for projects that would make a great movie. If you have a completed screenplay or novel that you think should be made into a film, please schedule a time to meet with Zena during the one-on-one sessions in order to pitch your story idea. Only requested materials will be accepted. This is a craft-oriented curriculum for novelists and screenwriters. If you've been to the movies lately, you'll know that Hollywood does something extremely well. They know how to tell good stories. In this continuing class, we will explore practical tools that Hollywood uses in order to help bring your writing to the next level. NOTE: This class will use film clips. While the instructor has selected clips that she believes best illustrates the principles being taught, please be advised that there may be some content suited for mature audiences only. The choice of what story to tell is the most important decision you will make as a writer. Don't waste valuable time and energy on a story that won't get published or produced. Find out how to choose the right story from the get-go. Why do some characters seem real while others fall flat? This course will break down the essential elements of a great character and give you practical tools to enable you to develop unforgettable characters for your own stories. Dialogue can make or break a story. Do you find yourself wishing your dialogue was a little spicier and a little less contrived and drab? This course will teach eight essentials of great dialogue and twelve tools you can apply to make your dialogue sharp. The worst thing in the world is when you read something in a novel or hear something in a film and know you have just been “set up.” This session will explore ways to make your set-ups invisible, so that when you finally pay them off, the audience will truly be satisfied. Do you want to take your story to the next level and really make it great? Do you want to learn how to “show” and not “tell”? By studying the seven levels of meaning in story, you'll see how most writers only use one. In this session we will consider what we mean by calling stories a “visual” art form, and discover how to construct more complex visual imagery in novels and screenplays so as to portray deeper levels of meaning through your stories.